Catching Pokemon in Pokemon Let’s Go is not as easy as we thought it was. It requires strategy and methods which probably for the expert players are already familiar with. However, there are some tricks to make it easier for you to catch Pokemon. In this article, I will guide you to Effectively Catch Pokemon, Catch Bonuses, and also Catch Combos in Pokemon Let’s Go. How To Catch Pokemon Effectively? 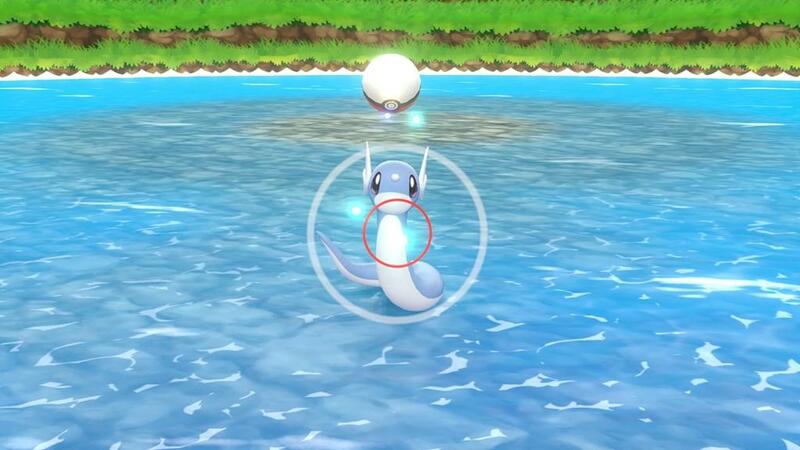 In the catching session, the simplest explanation is that you need to throw a Poke Ball accurately so that it hits the Pokemon on the inside of the colored closing circle. The circle itself has several possible colors: green, yellow, orange or red. The colors indicate the chance you have of which Pokemon you successfully catch (green confirms as the highest chance of success and red is the lowest). The color of the circle will change from one species of Pokemon to the next one, between higher and lower levels of the same type of Pokemon. For example, Meowth in level 1 will have a green circle because it will be easy to catch, meanwhile, for Meowth in level 50 probably will start with a darker-colored because it will get difficult to catch. And for Legendary Pokemon, they will always have a red circle. 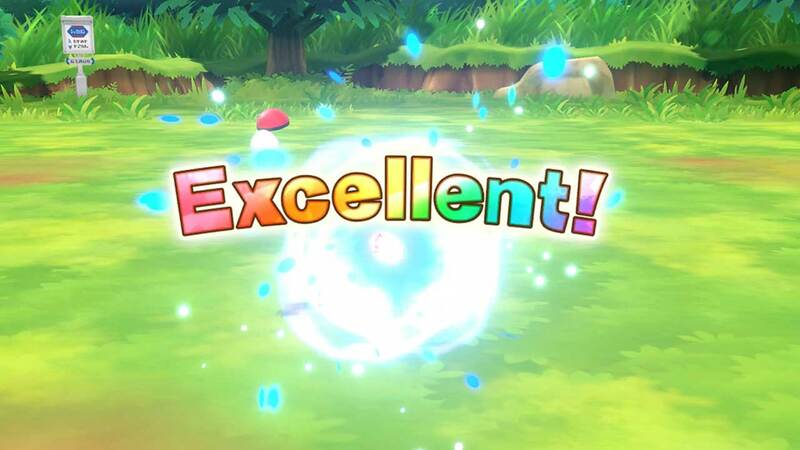 The higher quality ball you use, the higher chances for you to succeed, and that will be indicated by the Pokemon’s catch circle changing color as you cycle through the different options. There are a variety of Berries in Pokemon Go, each giving unique effects when trying to capture a Pokemon. 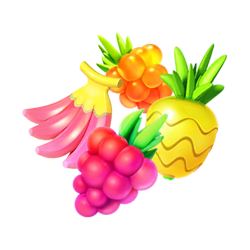 Golden Razz Berry, greatly increase your chances of catching a Pokemon, and can also be given to a Pokemon assigned to a Gym to fully recover its motivation meter. For note, these berries have three levels of quality too: Regular, Silver, and Golden ones. The better your throw, the better your chances of catch Pokemon. Nice throws give you a better chance than normal ones, Great better than Nice, and Excellent is the best chance of all. Mastering Nice, Great and Excellent throws are the best way to catch difficult Pokemon. Now how to get the Great and Excellent throws? Once you press the ‘Get Ready’ button, navigate your Joy-Con to the right and then throw, then the ball will appear from the right of the screen. Pay attention to your position when you press ‘Get Ready’, then throw the ball accordingly. And you can always press B to go back and reset yourself if you accidentally pressed it when out of position. Master your timing, in the docked mode, accuracy is the main important thing. You will need to be accurate on the timing of the circle closing, and of course, prepare for any jumping around or attacking done by the Pokemon. To get an Excellent throw, the best time to throw your Ball is when the moving circle was before half-way closed to the center. New Pokemon – adds to your XP multiplier if this is the first time you caught that species Pokemon. Nice, Great, or Excellent Throw – adds an increased amount to your XP multiplier as you get a better rank of throw, ranging from nothing for a normal throw to the most for an Excellent. Technique Bonus – increases your XP multiplier if you use the Joy-Con or Poke Ball Plus motion controls in docked mode, it’s not available from any other method. 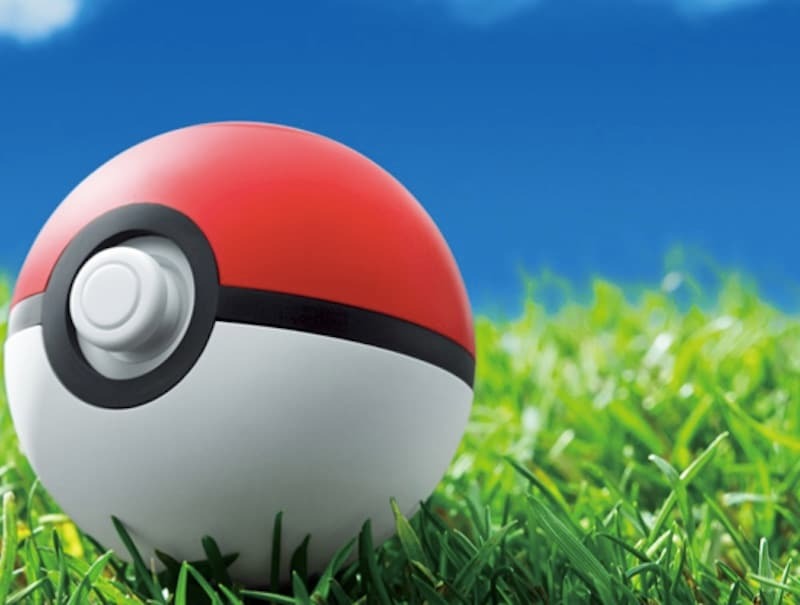 The first throw – increases the XP multiplier if you catch the Pokemon with your first throw of a ball. 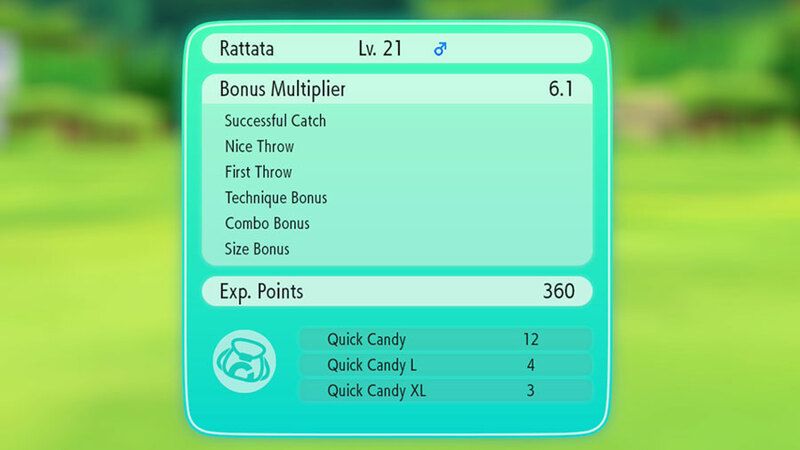 Size Bonus – if a Pokemon is large or small (shown by a blue or red circle aura when you see it in the wild), this will grant you an extra bonus XP multiplier. Combo Bonus – if you have caught more than one of the same type of Pokemon in a row, for example, three Pidgeotto in a row, then a Combo bonus will be added to your XP multiplier. The higher the Combo streak, the higher Combo Bonus you will get. Catch Combo is your running streak of Pokemon of the same species that you have caught in a row. 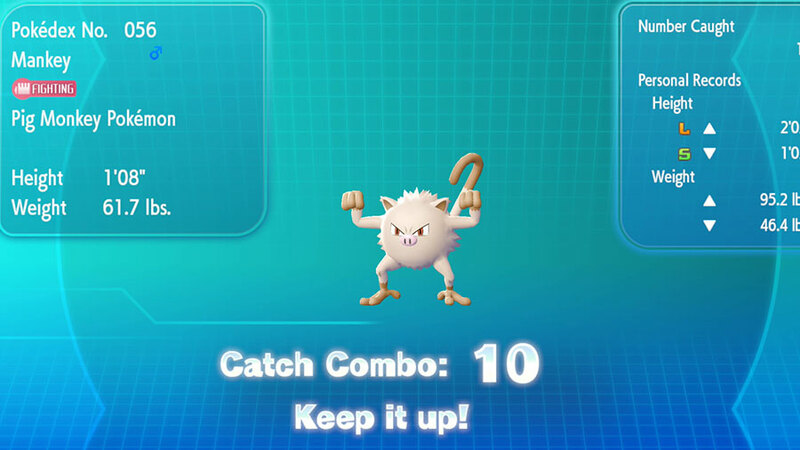 The higher Catch Combo you get, the higher your chances of getting some interesting stuff, such as the appearance of some limited Pokemon. 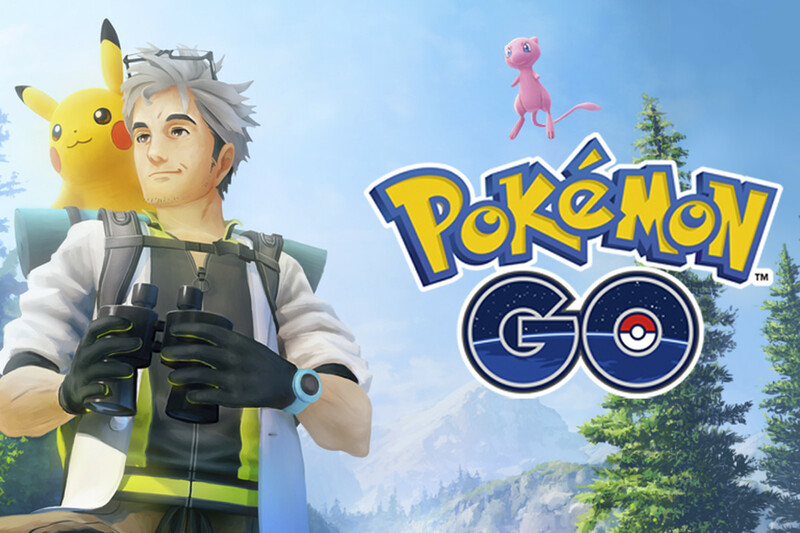 Keep catching the same Pokemon to increase your Combo Bonus XP from every catch, and will increase your chances of a limited Pokemon appearance. Well, there you go guys! Ready to catch the Legendary Pokemon? Pokemon Let’s Go is currently available exclusively on Nintendo Switch.